Gerald Richard Barnhart, age 82, of Lorain, passed away on the afternoon of Tuesday July 24, 2018. Born in Lorain on July 21, 1936, he grew up in South Amherst. Jerry was a 1954 graduate of South Amherst High School where he was a standout athlete and multiple varsity letter recipient on the school’s basketball team. He also won recognition as the team’s most valuable player in his senior year there. Following graduation, he served in the United States Army where he fulfilled duty assignments as a Specialist 4 attached to the 14th Signal Detachment at Fort Lee, Virginia. Jerry was the recipient of the Good Conduct Medal and held a Marksman’s rating for the M-1 Carbine as well as a Rifle Sharpshooter’s Badge. He was a member of Italian-American Veterans Post # 1 in Lorain. Mr. Barnhart had been employed as a financial advisor for the Children’s Developmental Center of Lorain County from 1986 until the time of his retirement from the agency in 2003. Previously, he had served as the Executive Director of the Lorain County Plumbing Industry as well as a staff photographer for the Lorain Journal. He attended the Sanctuary Church of South Amherst and was a member of the Bible study group there. He was also a member of the South Amherst Historical Society as well as the Lorain Senior Center. 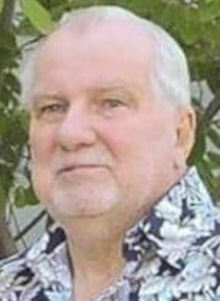 An avid fan of all sports, he displayed a special interest in basketball and baseball. Jerry received his greatest enjoyment from remaining involved in the lives of his grandchildren and great grandchildren and especially in serving as their mentor and coach in teaching them basketball skills as well as being an ardent spectator at their games. Survivors include his wife of forty-six years Barbara (nee Beckler), and children Jon Ronald Hanna (Chris) of Kansas City, Missouri, Michael Raymond Hanna (Lisa) of Vermilion, Bryan Matthew Hanna (Barbara) of Brownhelm Township, and Kimberly Jo Evans (James) of Spruce Pine, North Carolina. In addition, he leaves ten grandchildren, ten great grandchildren, and sisters Kathleen Barnhart of Amherst and Sharon Kukoleck of Lancaster, Ohio. Jerry was preceded in death by his parents Richard E. and Mary E. (nee Noyes) Barnhart. Visitation will be Saturday from 4:00 p.m. until the time of funeral services at 7:00 p.m. in the Gluvna-Shimo-Hromada Funeral Chapel 3224 Broadway Avenue, Lorain. Reverend Art Weigand, pastor of the Sanctuary Church of South Amherst will officiate. In lieu of flowers, contributions in Jerry’s memory are encouraged to the Sanctuary Church of South Amherst – 114 West Main Street, South Amherst, OH 44001.